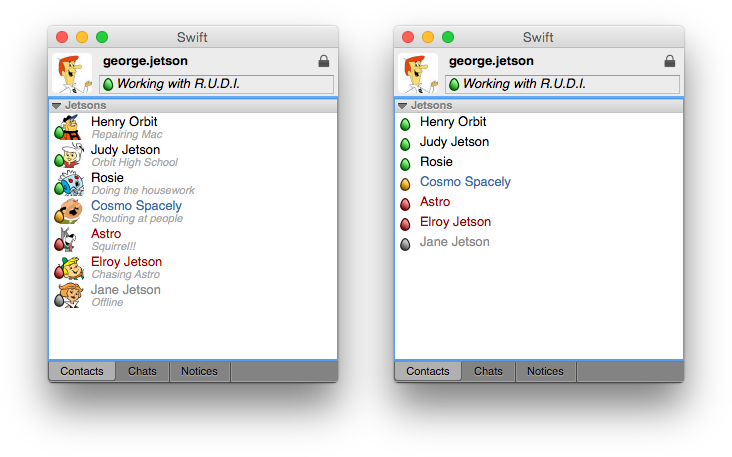 Swift is an elegant, secure, adaptable and intuitive XMPP client, with features that make it suitable for a wide range of use scenarios. 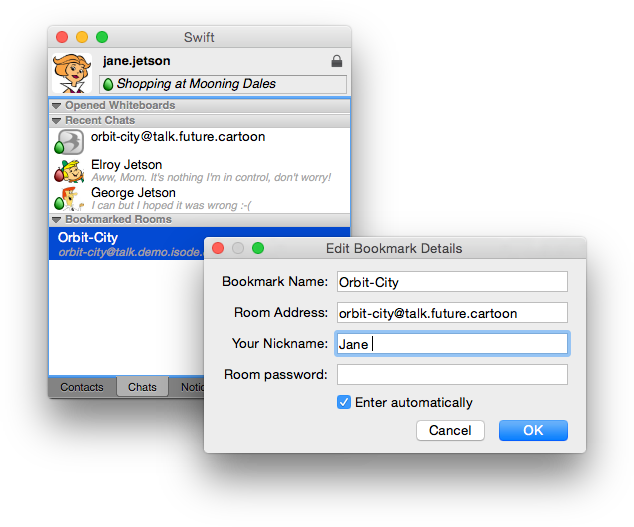 Swift is available for Windows, Mac OSX and Linux. With a compact roster option, simple blocking, keyword highlighting and easy status setting, Swift's clean user interface has been designed with the users in mind. With Swift, the design emphasis is on making the most frequent tasks easy to perform and minimising distractions. Swift supports Strong Authentication using certificates and smart-cards as well as password-based SASL authentication mechanisms. 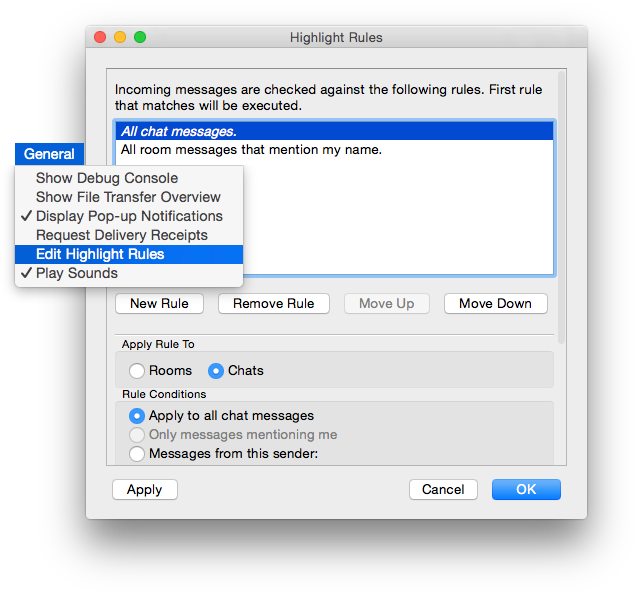 In operation, Swift users can make use of message acknowledgments to ensure that messages are delivered and security labels to ensure that content can be appropriately marked. Swift was the first XMPP Client to be approved for inclusion on the Approved Products List maintained by the US Defense Information Systems Agency (DISA), satisfying their rigorous Information Assurance and Interoperability criteria. With features that include stream compression for bandwidth saving, BOSH support for connecting to servers over HTTP and roster versioning for faster log-in times, Swift is suitable for a wide range of use-cases. Current Swift users range from individuals connecting to public XMPP services to large organisations running their own XMPP service over SatCom links. Swift's extensive feature list sets the bar for other XMPP clients and with Swift those features don't overwhlem the users. Whether you want to set up an impromptu MUC room, conduct a live roster search or initiate a file transfer, all of Swift's features are where you intuitively expect them to be. Download the latest Swift packages for Windows and Mac OS X here or visit the downloads page for instructions on obtaining Swift for Linux.